The diversity of our great nation brings us strength, and, annually in February, we celebrate Black History Month. This month, Kerr Russell will be sharing important milestones in the ongoing narrative of African-American accomplishment on our social media channels – Facebook, LinkedIn, and Twitter. Today, we honor Judge Lucille A. Watts. Judge Watts participated in representing African-American men wrongfully arrested during the 1967 riots. 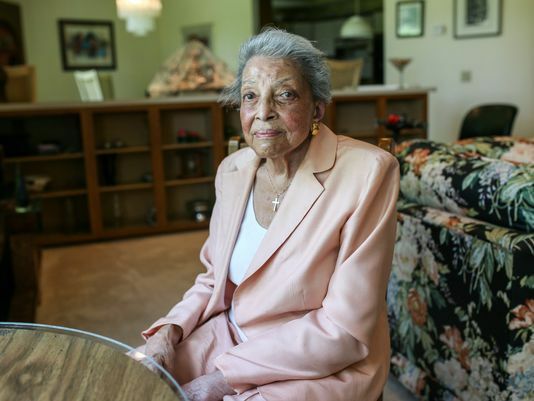 She started her own law firm after graduating from the Detroit College of Law in 1962 and joining the Michigan State Bar in 1963. Watts is the first African-American woman elected as a circuit court judge in Michigan. Thank you to Kerr Russell’s Shamara Thomas, paralegal, for sharing this essential story with us. From The Detroit Free Press: “Watts, in an interview with the Detroit Historical Society as part of its Detroit 67 Oral History Project, said that she had an obligation to do more than stay home with her ‘head covered up.’ So she joined with other African-American lawyers in the community to get men out of custody. … Watts, who practiced real estate law and also did divorce work, collaborated with other attorneys in the Wolverine Bar Association, an organization established by African-American attorneys in the 1930s. The attorneys defended some of the 7,231 people who were arrested during five days of violence in the city.” Read more here and here.